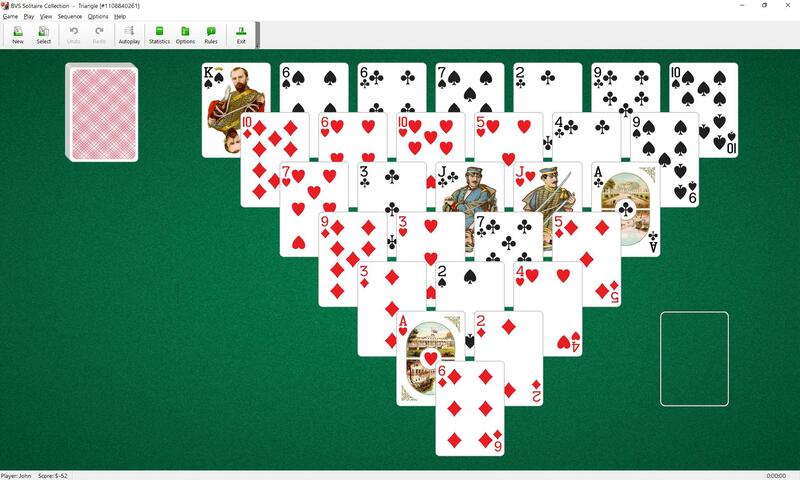 Triangle Solitaire uses one deck (52 cards). 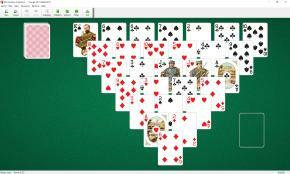 An inverted pyramid of cards is dealt, consisting of 28 cards in 7 overlapping rows. To pair up all cards in the deck in pairs that total 13 and remove them to the single discard pile. When you have made all the moves initially available, click on the stock pile to deal one card on each waste pile. There is no redeal. Triangle is very similar to Pyramid.